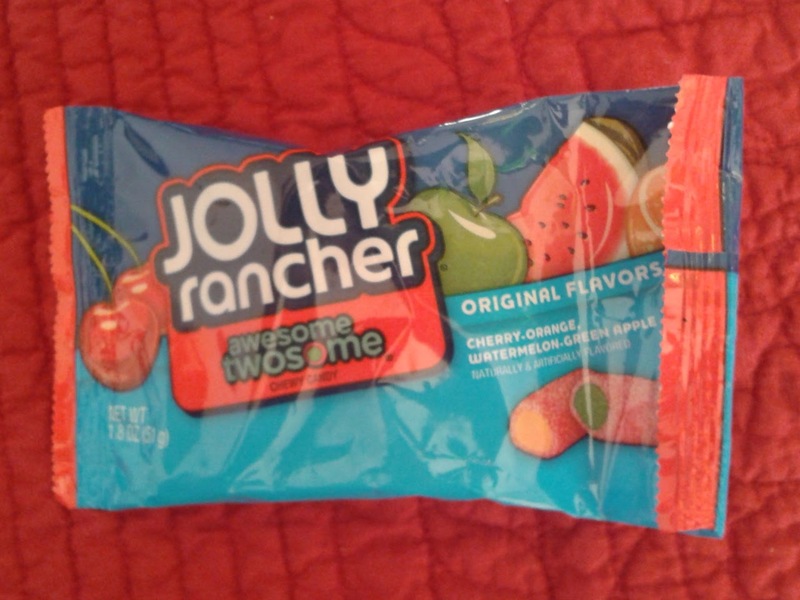 Today's candy goodie post is on this new (at least new to me) Jolly Rancher candy that I was able to sample. 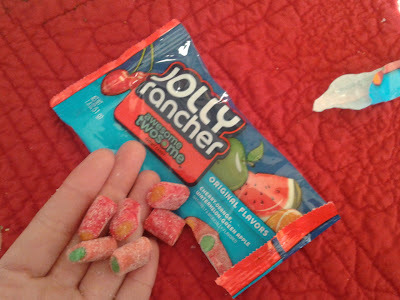 Its the first time I've seen this product, which is basically a chewy soft roll on the inside (either orange or green apple) and with a sweet/sour belt (cherry or watermelon) on the outside. Orange center with Cherry outside. Green apple center with Watermelon on the outside. From the picture above, you can tell the center is separate from the outside. 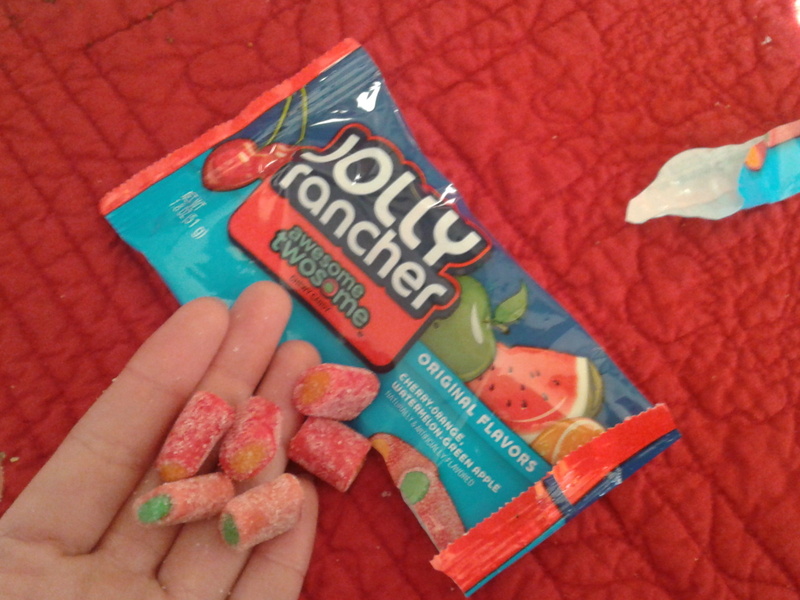 The center was a different texture, it was like a smooth, almost creamy like filling with some chewiness to it. The outside was like those sour belt textures. 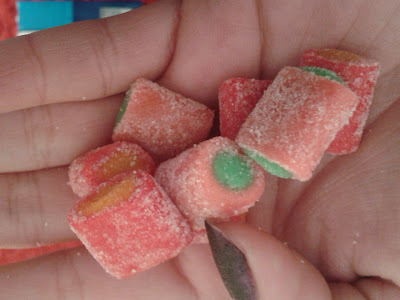 My favorite flavor combo were the green apple + watermelon ones. 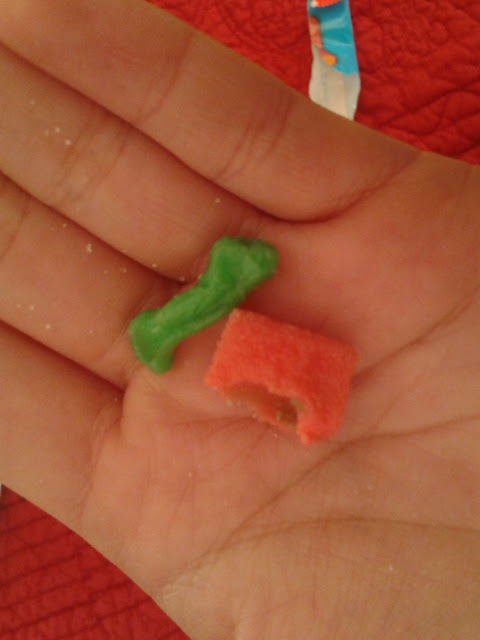 Overall, its not a bad product, but I prefer the regular chews over to these. I'd probably buy them if I saw them at the checkout stand if I'm in need of something sweet and chewy. It's a good product to look out for at your local grocery stores. 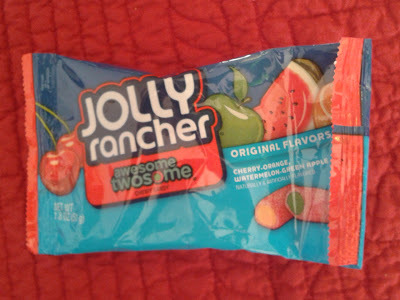 If you're a fan of Jolly Rancher, you should probably try this.